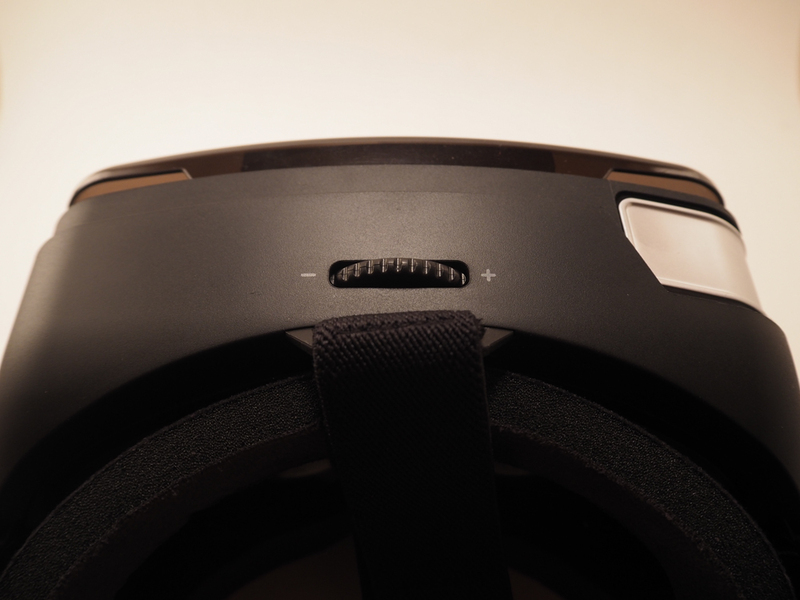 Virtual Reality is a buzz word right now with many players currently involved. The most well known and undeniably expensive examples out there are the Oculus Rift and HTC Vive. 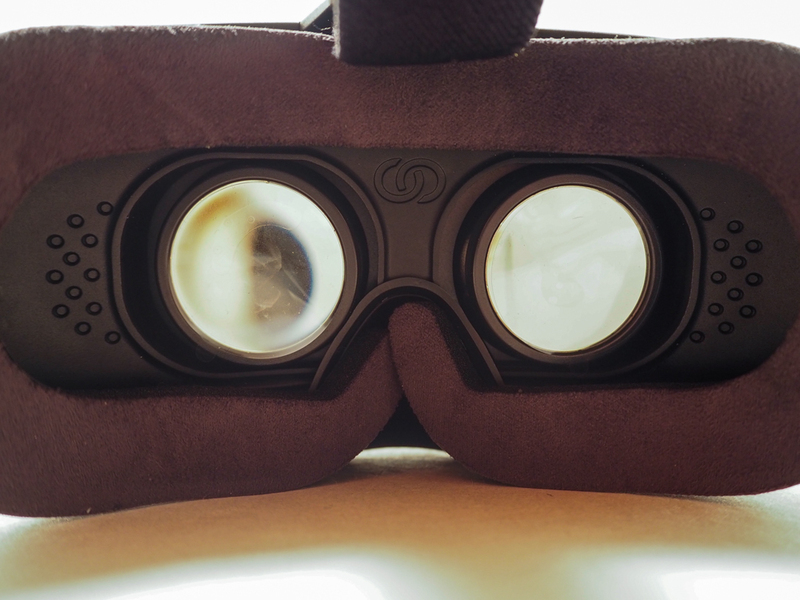 Those are full on virtual reality solutions that require a hefty computer to make use of but did you know that the smartphone you have in your pocket can also be converted into a virtual reality viewer? All it needs is an accessory like the Homido VR Headset and a little bit of software and you’re ready to experience 3D on the go without the need for a fancy computer or tangled up cables. 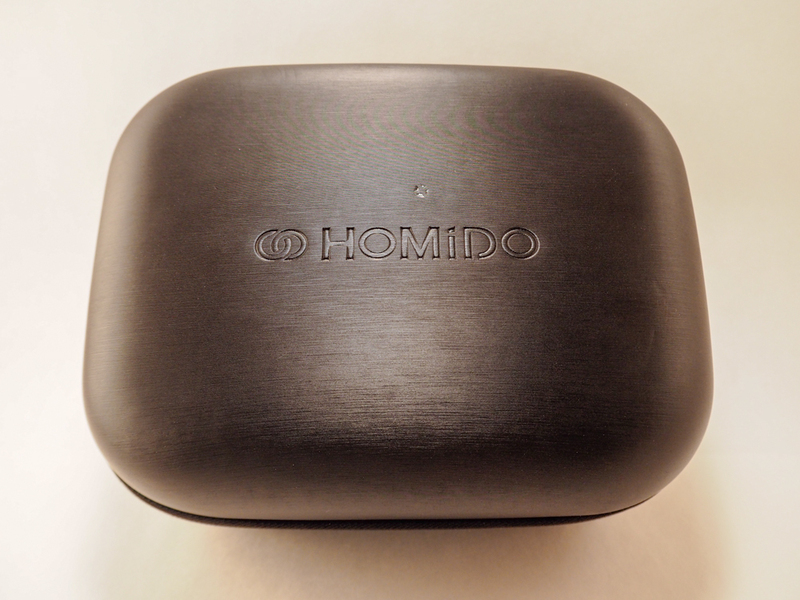 The Homido VR Headset is basically a container for your smartphone not unlike what Google Cardboard or Samsung Gear VR is. 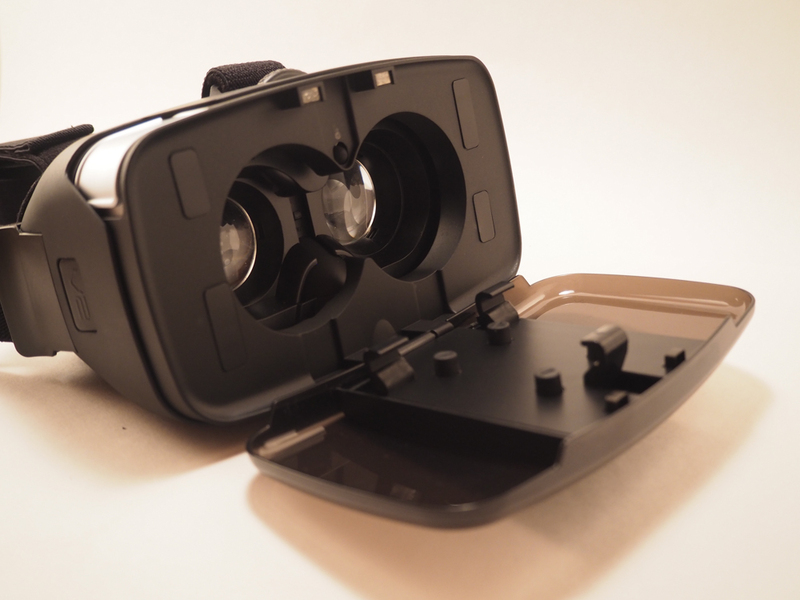 While it costs more than the free Google Cardboard solution, it is much better made and actually looks like a VR unit. What you’re really getting here is a very well made, plastic Google Cardboard like device that doesn’t need to be constructed and you won’t ever have to worry about accidentally breaking it or having your phone slip out of it. 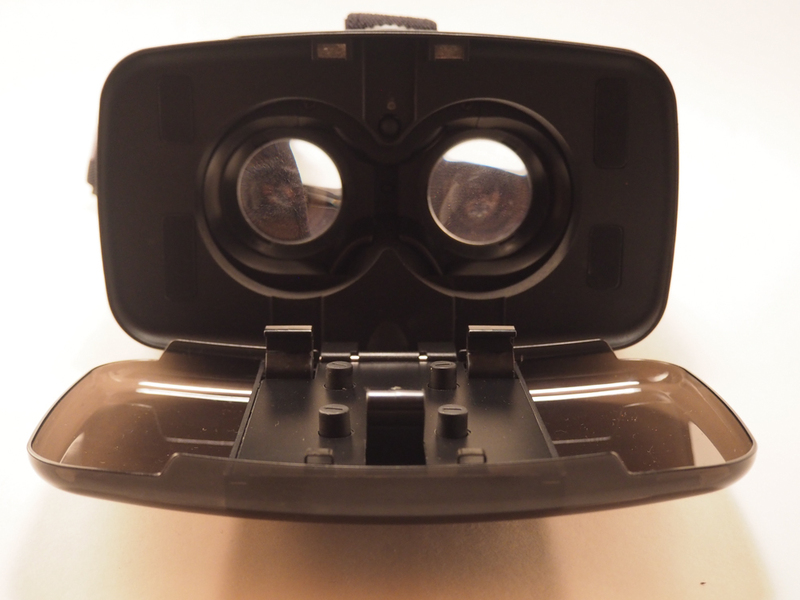 This is a heavy duty piece of kit here that improves upon the standard Google Cardboard experience in every way. 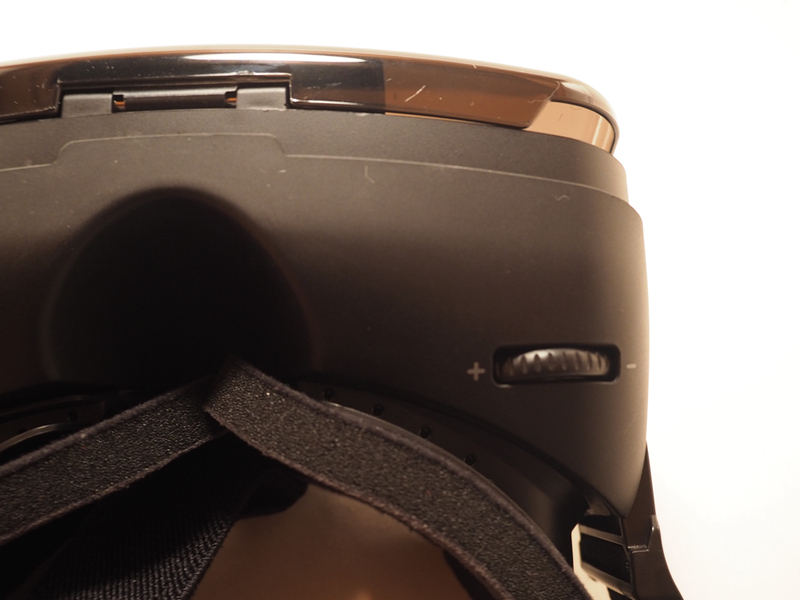 It even has straps on it like the Google Gear VR units, it just doesn’t have all the extra sensors. Not only that, you’re device is kept secure using some rather nice adjustable brackets and magnets to keep everything in place. 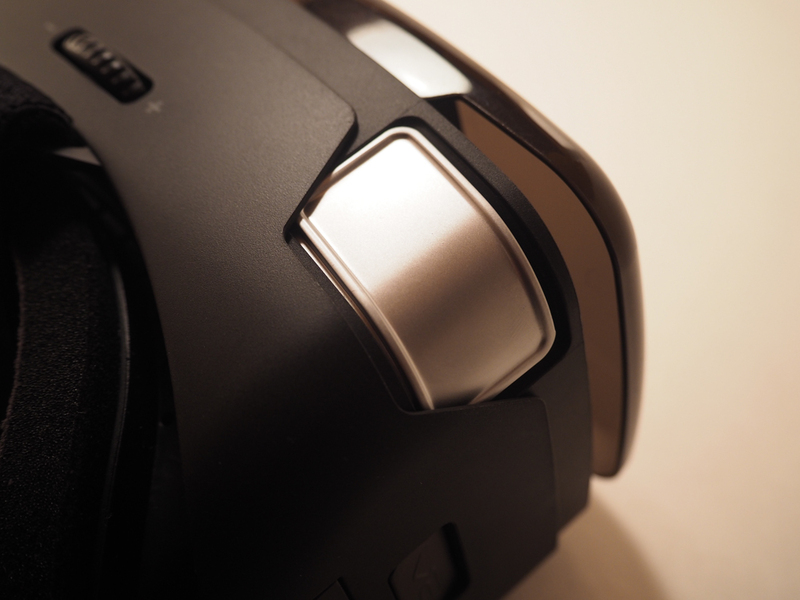 Another difference is the inclusion of adjustable knobs that should allow anyone one use the Homido VR Headset comfortably. 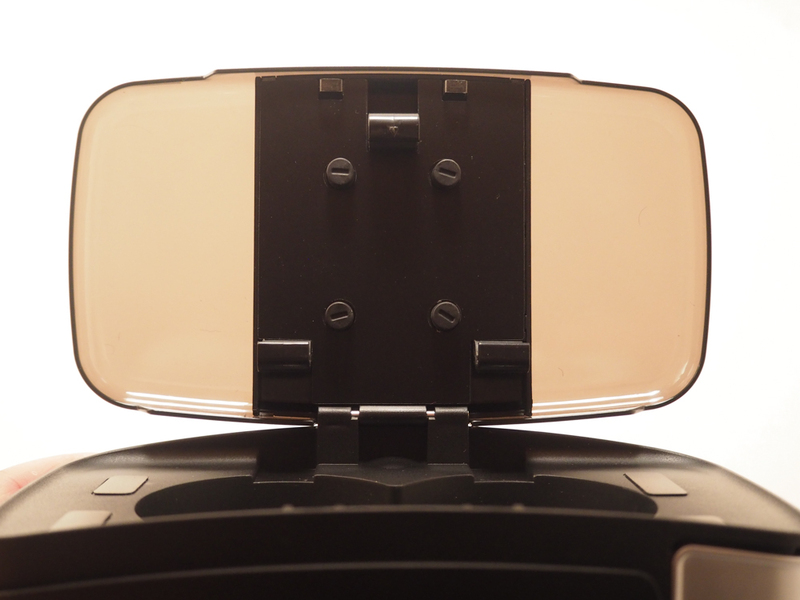 You can adjust the distance between the two lenses as well as the distance of the lenses from your eyes. Even people with glasses can use this. The headset also allows for different sized smartphones, anywhere from smaller a 4” screen to a larger 5,7” inch screen device. An iOS device or Android deice is recommended as is a quad-core device with an accelerometer and, gyroscope. There’s even a button on the headset that lets you make taps on your screen when pressed. 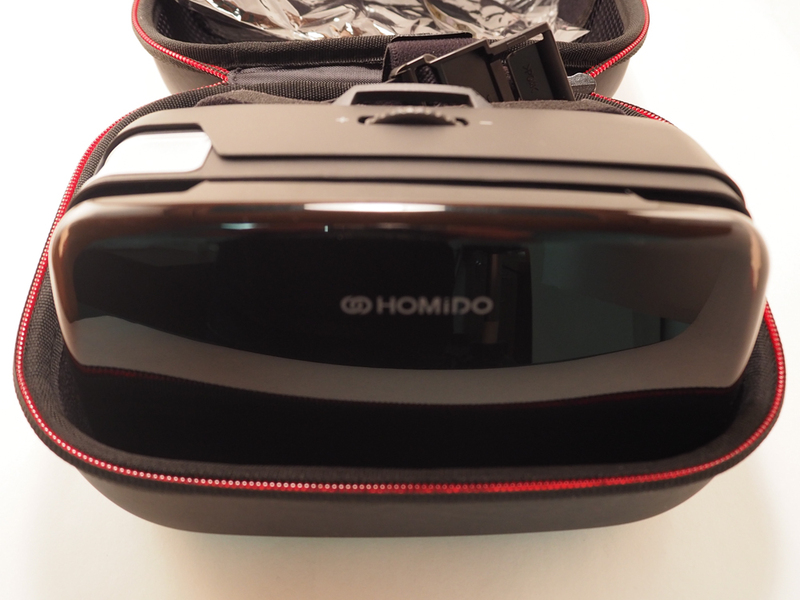 Now that we got the hardware out of the way, your next step to enjoying the Homido VR Headset is to download the Homido Center app which is essentially a catalog of all the apps compatible with the headset. All you need to do now is find the app you want to use, download it, and hit play before inserting it into the Homido VR Headset. 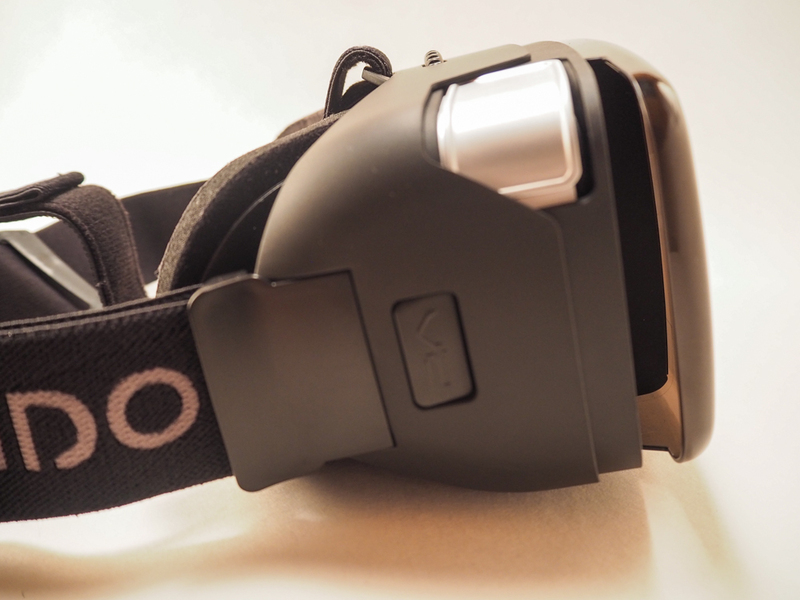 Usage of the Homido VR Headset is very similar to that of Google Cardboard, but you have full use of your hands because you don’t need to hold this up to your face. That means if need be, you’ll be able to use this with a Bluetooth gaming controller if the app you’re using requires it. 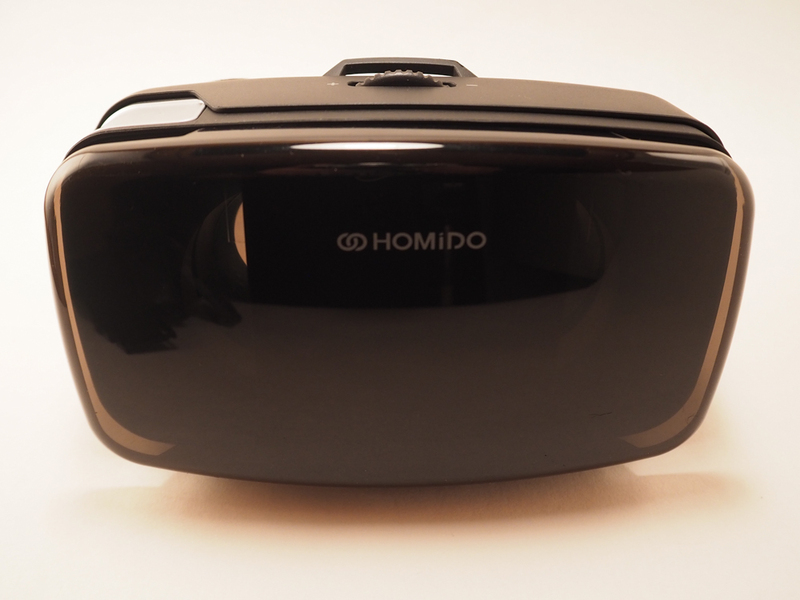 With that said, the Homido VR Headset is a pretty good introduction for those who are curious about VR but don’t want to quite spend hundreds of dollars on the more advanced units yet. 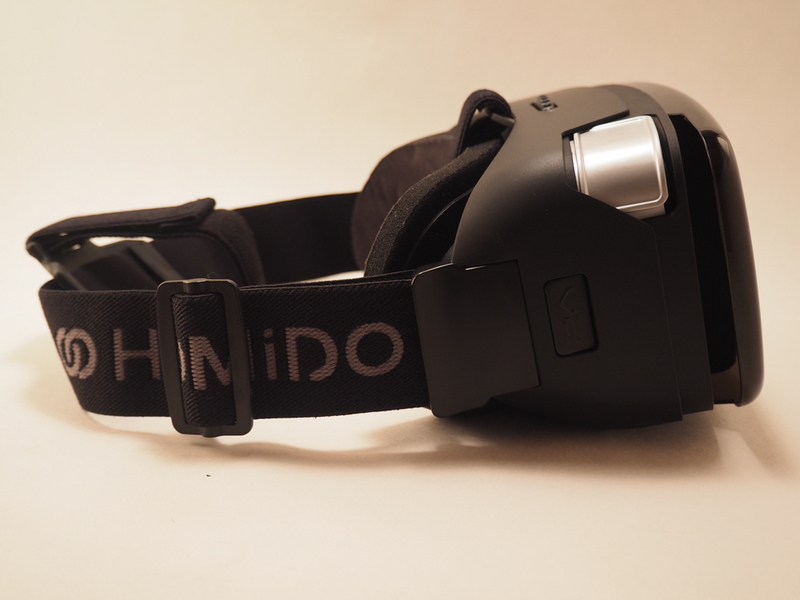 The Homido VR Headset will give you a taste of what you can do with VR at a very affordable entry price if you want a device that is made out of something more durable than cardboard.